Manhunter (Dan Richards) was a mainstay in Police Comics. His feature started in 1942 and ran all the way to 1950. He was brought back during the 1980s, and integrated into an unified version of a/ DC’s Golden Age era and b/ a framework about the numerous “Manhunter” characters DC had. This profile was part of a small series republishing tuned-up Mayfair stats with basic DC Comics background material. This was done back when some Mayfair sourcebooks were hard to find, especially internationally. Thus, it’s not a full-fat character profile. Base Of Operations: “A Great City” not otherwise identified. Though he had no super-powers, Manhunter was one of the most remarkable skill-based heroes in the All-Star Squadron. Trained as a fighter and gymnast, he was remarkably strong and tough as well as agile. Criminals learned to fear his physical abilities as well as his remarkable detective skills and sharp analytical mind. Donald Richards (oddly called “Dan”) graduated at the bottom of his Police Academy class. His girl, Kit Kelly, was understandably disappointed. Especially as her brother Jim took top honors. But when Jim refused to kill someone for a crooked politician, then was framed for murder, Dan knew he had to do something. That was when he was approached by the ancient cult known as the Manhunters. Richards adopted a costumed identity simply called “Manhunter” in order to track down the real killer. He used secret files he had gathered on known criminals to help him clear his friend’s name. A phrase used by the real murdered provided the clue that cracked the case. Thereafter, Dan became Manhunter whenever ordinary legal procedures proved inadequate to solve a mystery. 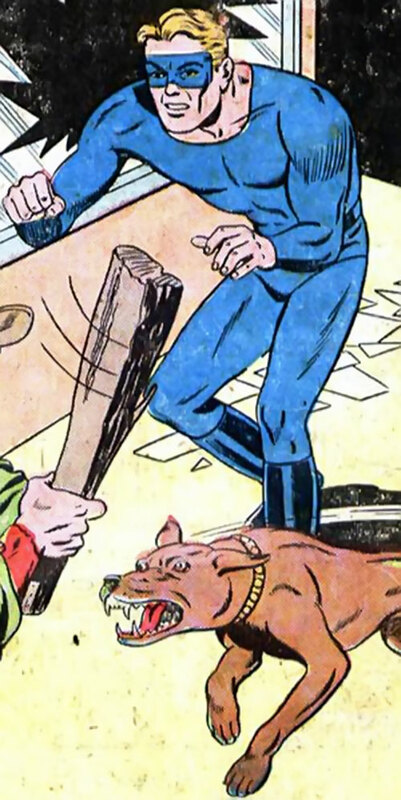 A month after his debut, another man trained by the Manhunters cult and wearing a costume (which looked closely like the uniform of the actual Manhunter androids) took the name. He became Manhunter II. 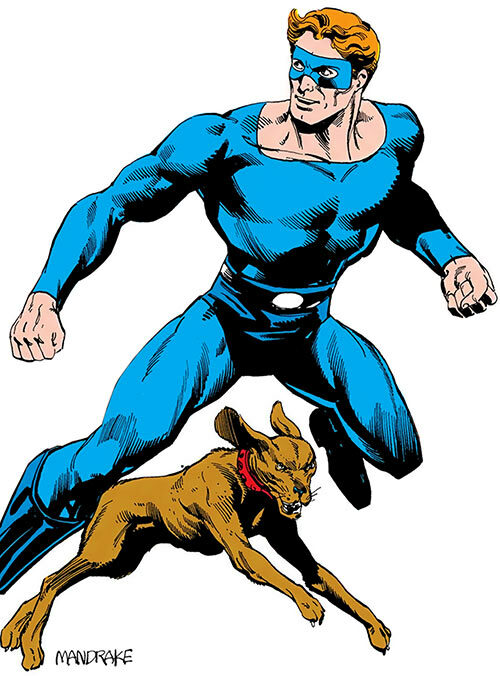 Manhunter was unique in that he had a canine partner – Thor (the “thunderdog”). This dog seems to have been part hound and part mastiff. Thor was always within hearing wherever Dan walked his beat, and the dog would come when his master blew a supersonic whistle, inaudible to human ears. Often Richards made use of Thor’s keen tracking abilities as well as his training as an attack dog. Manhunter I worked a little with the All-Star Squadron. Then he was chosen by Uncle Sam to go with him and the other Freedom Fighters to the West Coast. His fate after the war is unrevealed as of this writing. 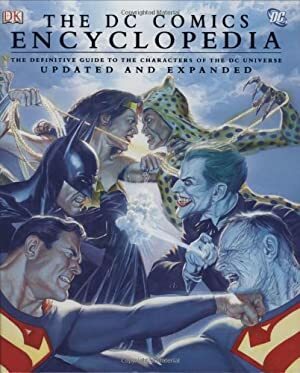 Intensive training, Lightning Reflexes, Pet (Thor), Scholar (mobsters – Manhunter’s files on all of the nation’s major organized crime figures are legendary), Sharp Eye. LAPD (Low), Freedom Fighters (High), All-Stars Squadron (Low). Shrinking is Always On and Already Factored In (-1) ; Eye of the cat only to allow the Manhunters to monitor through his eyes and ears (-2). Dark Secret (unknown to the Manhunter, Thor is a Manhunter android). Compiled by Sébastien Andrivet (using World at War and Who’s Who). Source of Character: Police Comics (DCU).